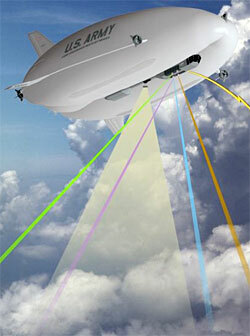 A proposed unmanned floating airship surveillance system is being hailed by city officials in Ogden, Utah as one way to fight crime in its neighborhoods. Godfrey floated the idea of a dirigible in the skies above Ogden for his city council members last week. The council is expected to vote on the measure in coming weeks. He says the cost of the blimp is being negotiated but said it is more “cost effective” to operate than helicopters or fixed winged aircraft. “We anticipate using it mainly at night. The cameras have incredible night vision to see with tremendous clarity daytime and nighttime. It will be used like a patrol car. It will be used to go and check things out and keep things safe,” said Godfrey.